see also The fraud exposed: Important Summary! The peppered moth story, for almost fifty years the prime textbook example of evolution by natural selection, is fast becoming biology's greatest embarrassment. Before long, Biston betularia, to use the moth's scientific name, will be famous only as the subject of a messy experiment whose faults were overlooked because the data were needed to support something that leading biologists and many other people badly wanted to believe. Anybody who ever took a biology class has seen the photos of light and dark moths that all the textbooks use to illustrate this classic example. The official story is that the peppered moth in Britain, normally off-white with a freckling of black scales, was well camouflaged against a background of lichen-covered tree trunks until the Industrial Revolution. In 1848, a collector spotted a single dark (melanic) moth in the industrial midlands. Thereafter, the melanic variety quickly spread throughout polluted industrial districts. Scientists theorized that smoke from the factories killed the lichen and darkened the tree trunks on which the moths were believed to rest during the day. Viewed against the newly blackened background, the melanic moths were virtually invisible to birds and so flourished uneaten, while the lighter variety became bird food and declined in number, until air pollution restrictions in the mid-twentieth century allowed the lichen to grow back on the tree trunks. Then the lighter-colored moths made a rapid comeback, or so the story goes. Bernard Kettlewell, a medical doctor and skilled moth collector whose scientific training was minimal, performed allegedly "carefully controlled" experiments in the mid-1950s to verify the numbers of light and dark moths in polluted and unpolluted regions. Kettlewell thus confirmed, or so it seemed at the time, that differential bird predation had caused the back-and-forth shifts of the predominant coloring in the moth population. Biologists acclaimed Kettlewell's studies for providing what he called "Darwin's missing evidence," the first confirmation that natural selection had any effect whatever in the wild. Lacking such evidence, Darwin could only illustrate his theory with examples from domestic animal breeding, a process guided by human intelligence rather than by nature. Armed with Kettlewell's evidence, and uninhibited by any reluctance to extrapolate wildly, the biologists had sufficient confidence, when they gathered in Chicago in 1959 to celebrate the centennial of Darwin's masterpiece, The Origin of Species, to declare to a credulous world that the entire Darwinian story of biological creation had been proved beyond doubt. Ever since, the peppered moth story has been Exhibit A in the Darwinists' case, cited so often and with such emphasis that it came to seem the very embodiment of Darwin's theory. Anyone who can reason logically can see at once that the moth story, even taken at face value, proves nothing about how moths, trees, birds, and scientific observers came into existence in the first place. One of the things that amazed me when I first began to study evolution was that most biologists vigorously dispute that fact, and insist that evolution, supposedly the creator of us all, requires no more than the accumulation over geological time of slight changes in gene frequencies of the kind illustrated by the peppered moth story. When Darwinism has passed into the dustbin of history, an event that surely will occur sometime in this century, historians will marvel at the spectacular power this ideology possessed in its heyday to cloud the minds of otherwise intelligent people, including the majority of scientists. For years I avoided telling my lecture audiences about any of the defects in Kettlewell's scientific practices, preferring not to distract them from contemplating the absurdity of using this trivial example to prove that natural selection is capable of creating such marvels as cells, wings, eyes, and brains. Now, however, the hilarious true story of the botched Kettlewell studies has leaked out to the general public, and the story is too good not to tell and retell. The Darwinists are stuck with an icon that they can't afford to abandon and don't know how to defend. The trouble started in 1998 when a moth expert named Michael Majerus published a book that Oxford University Press had, ironically, commissioned to commemorate Kettlewell's achievement. Majerus disclosed enough of Kettlewell's many departures from proper scientific practice to inspire a reviewer to examine the original papers and then to write in Nature that the situation was even worse than Majerus had suggested, so that "for the time being we must discard the peppered moth as a well-understood example of natural selection in action." Subsequently, Darwinists, including the reviewer himself, were horrified to learn that "creationists" were publicizing the Nature book review all over the Internet. 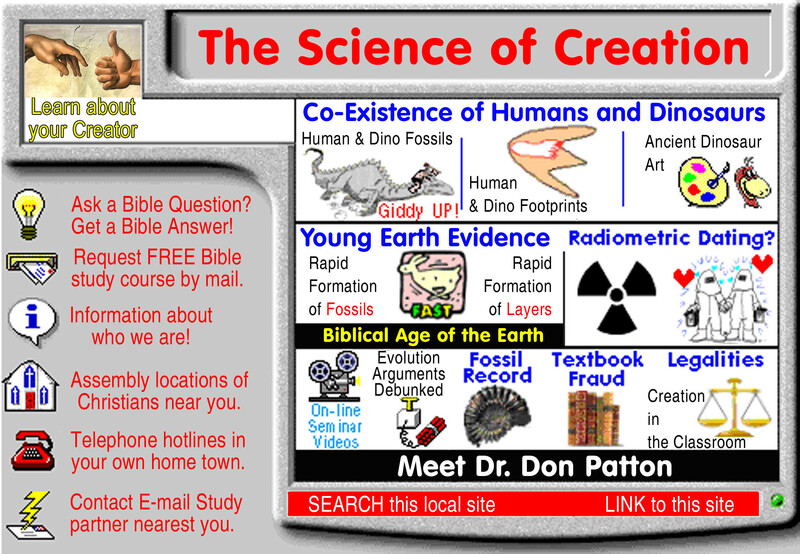 (The word "creationist" in Darwinist usage has no fixed definition and is mainly an insult that Darwinists apply to anyone who challenges some tenet of Darwinism in an unacceptable or dangerously effective manner.) Even more ominously, shocking newspaper stories began to appear. For example, a headline in the London newspaper The Independent asked bluntly if the moth's iconic status is based on fraudulent research. I don't have space to go into all the scandalous details, but one of the juiciest is that the moths, which are nocturnal, do not rest on tree trunks during the day but prefer to fly up into the branches. The textbook photographs were staged, often by pinning or gluing dead moths in place. You can read the entire story in Judith Hooper's wonderful book, Of Moths and Men. It is a bombshell. Dava Sobel, the acclaimed author of Longitude and Galileo's Daughter, describes the book on the dust jacket as a riotous story of ambition and deceit, about scientists who "arrange the evidence to arrive at the desired result." Another jacket endorsement is by Ernst Mayr, the dean of living Darwinists. A Mayr endorsement is the nearest thing to a papal imprimatur that biology can provide. The first reaction of biologists to the moth revelations is usually unconcern, because they assume that Darwinism is by now past all danger of refutation. A delayed panic typically follows, once the biologist realizes the likely consequences if publishers were to take the Nature reviewer's advice and either drop Kettlewell's bogus proof from the textbooks or admit all the embarrassing circumstances. For the Darwinists to hand the hated creationists a victory of that magnitude would be unthinkable, and possibly fatal. For comparison, try to imagine the likely effect on the outcome of the Civil War if the Union Army had been forced at some point to abandon the national capital to the Army of Northern Virginia. The District of Columbia had little military value, and the northern states would still have had much greater resources than the Confederacy, but the symbolic effect, and eventually the tangible effect, of the setback would have been incalculable. There is a colossal scandal in the peppered moth saga, and it goes far beyond anything that the over-enthusiastic Kettlewell may have done in the 1950s. The real scandal is that the most influential biologists overlooked the defects in the Kettlewell studies when they were first published, because the appearance of "Darwin's missing evidence" was so convenient for them, and they continue to deny the facts today, to the extent of vilifying the messengers who bring them the bad news. Even Michael Majerus, who provided the first disclosures that set off the scandal, has become a diehard defender of the official story, now that the delayed panic has set in. Majerus has started a five-year experiment in his own back garden in the hope that it will produce Kettlewell's missing evidence, proof that birds in the wild are driving the changes in the dark and light moths that are allowed to light where they like on a tree while it is still night. I admire the show of team spirit, but the question today is how Darwinists behave, not how birds and moths behave. The Darwinists have far too much of their credibility invested in the Kettlewell studies to disavow them now, so their only option is to circle the wagons and pretend that everything is still as it was in 1959. Hence, the textbook publishers, encouraged by the scientists, are stonewalling the critics and admitting no problems. We are living through a great experiment in scientific practice today, the outcome of which will tell us whether science is ultimately what it claims to be: an honest business in which faulty evidence can be discredited even if powerful vested interests are desperately protecting it or whether the mandarins of science in Darwinian times have grown so powerful, and so cynical, that truth no longer has a place in science and only power rules. The experiment is ongoing, but a trend is visible. The Darwinists are as determined to protect the peppered moth icon as that Dutch boy was to plug the dyke, but the truth is seeping through their guard. My prediction is that Judith Hooper's Of Moths and Men will go down in history as one of the most important books of this century because its success will demonstrate that the truth eventually emerges, however determined the mandarins of science and culture are to protect an illusion that supports their authority. Copyright © 2003 the Fellowship of St. James. All rights reserved.